Vice President – Mike Johnson, Jr.
Recording Secretary – Karl Bezak, Sr.
Captain – Denny Palandro, Sr.
Music Director – Bob Dougherty, Jr. 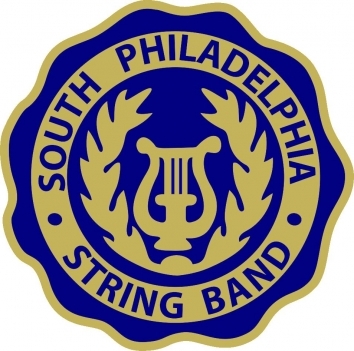 The South Philadelphia String Band was organized on May 14, 1946, in the Grays Ferry kitchen of Samuel G. Hamilton, whose founding philosophy was simple:”A good band was one that featured good people and good musicians having a good time.” Hamilton combed the streets of Grays Ferry for members, and the Band’s first appearance in the Mummer’s Day Parade on January 1, 1947. Parading as a mascot that first year was Samuel R. Hamilton, the son of the founder and today known as “Grays Ferry Sam”. The Band later was incorporated on June 6, 1953. A signatory to the Band’s original charter was Pat Pilone, among others. The Band always has had a strong allegiance to the Grays Ferry section of South Philadelphia. Many of its members, both old and new, hail from this part of South Philadelphia. Among them are 30 year captain Jim Donaghy, labeled “The Pride of Grays Ferry” during his tenure, which featured an unheralded three first-place captain’s prizes in 1959 through 1961; the Moran family, which lists as members the departed but not forgotten Jim “Shoes” Moran and Jim Jr, in addition, to present family members, Joe Sr., Joe Jr., and brother Mike, former president Bill Gibson Sr., and his son, former captain Bill Gibson Jr.;. 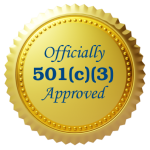 Membership today totals 125 and members’ mailing addresses span the entire metropolitan Philadelphia area. “On the street”, South Philadelphia is at its best when the tempo is fast and bandsmen’s feet are moving. Witness the Band’s first-place finish in 1966 with its theme, “String Band Hit Parade”. Carl Rolette as musical director and “Grays Ferry Sam” Hamilton as drill master out did themselves that year, and un¬doubtedly, both Carl and Sam were equally proud when the Band performed an eight beat about-face in front of the judges in 1980’s version of “String Band Hit Parade” and roared back to capture 3rd prize, 1st prize captain’s finish complete with a “Grays Ferry Sam” Hamilton-inspired polka step to the tune of “Beer Barrel Polka”. Similar instances of that unique South Philadelphia up-beat tempo and maneuvers on Broad Street that met with an equal measure of success were, Alex Stewart’s leading the jungle chant in 1988’s Hot Native Nights” and the pulsating and toe-tapping music played by the Band behind Bill Berenato in 1994’s “Going To The Mardi-Gras”. Much of the success of South Philadelphia is due to its commitment from members’ families. Presently, there are numerous father-son combinations and a host of sibling pairings in addition to 3 three-generational families (the Bezak’s, Deissroth’s and Rucci’s). A Women’s auxiliary long has supported South Philadelphia and been instrumental in its longevity through behind-the-scenes’ work at the Clubhouse on New Year’s Day, at the Annual Show of Shows, and at Band functions and parties, they themselves have organized to benefit the Band throughout and over the years. Memorable “firsts” recorded by South Philadelphia include the making of a television commercial for PSFS Bank in 1976 and traveling to Krefeld, Germany in 1983 to represent the City upon our sister city’s observance of the Tri-Centennial Commemoration Of German Emigration To Philadelphia. South Philadelphia String Band also traveled to Havana, Cuba in the late 1950’s, and although not officially the first string band to do so, South Philadelphia has traveled to the Mardi Gras in New Orleans many times. From the past to the present South Philadelphia always has managed to rally and compete, even when the odds were stacked against it. That ability has served the Band well over the years, but it has been the trademark combination of camaraderie and good times, especially outings such as fishing trips; road trips to Notre Dame; jam sessions at the Clubhouse after Tuesday evening rehearsals and following Show of Shows’ performances; and New Year’s Day post-parade parties no matter what the prize that separates South Philadelphia from its string band brethren and is exactly what founder Sam Hamilton cooked up in his Grays Ferry kitchen over 70 years ago.